The 2019 calendar is now open for information submissions. Click here to add your event to the 2019 calendar. 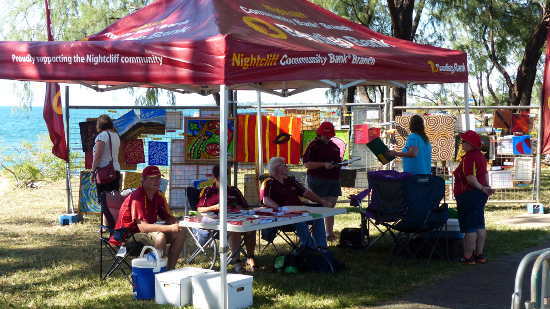 Budding artists will not want to miss the opportunity to enter for the $3000 prize offered by the Nightcliff Community Bank at the annual Seabreeze Festival Jetty Art Space. 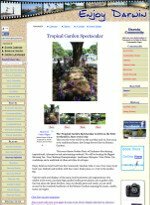 Build a full Information page for 2018. If you just want a listing on the Darwin 2018 Calendar page, add your Event Name, Location & Date information here. This is only a brief entry, for a full page use the form immediately below. It will expand when you click in the box below. If you need help email me at jim@enjoy-darwin.com. Large Files can cause problems - if you can use a graphic program to reduce file sizes to less than 100k it will make it easier. Try www.bulkresizephotos.com if you need a program. A 'Pinit' button will be added to encourage people to pass on the news about your event. Click here to see the rest of the form and complete your full page. The form below is to add a simple Name, Place and Time for your event to Darwin 2018 Calendar. These details will be added manually from your information page if you use the page builder form above. I consent to this information being displayed on the Enjoy Darwin Website and that I may be contacted for clarification if necessary. Return to main 2018 calendar of Events.